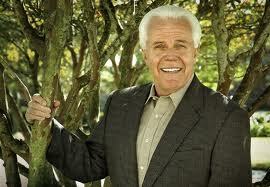 Heard this great quote today from Jesse Duplantis, speaking on the absolutely essential topic of having vision. Most of you know that I spent 18 years speaking at Youth with a Mission schools, from – literally – Buenos Aires to Seoul, Korea, from the USA to Christchurch, New Zealand, and across much of Latin America, on that very subject. Mine was ‘Goals, Dreams, & Visions’: it started as a 3 hour teaching session (lasting one morning) to – if the schools wanted – five 3-hour teaching sessions A WEEK over 2 weeks… it’s very much part of God’s plan. My earliest memory of Proverbs 29:18 was, of course, from the King James Version: ‘Without vision, the people perish’. Dead. No vision = dead. It loses a fair bit in the need for modern translation – in the NIV, it is ‘Without revelation, the people cast off restraint’. In the Spanish translation: ‘Without prophecy, the people run like a car without brakes’. No vision = no restraint. No vision = out of control. (Amusingly, and I’ve written this in my blog before, when I first spoke on this subject in Cali, Colombia, my great friend Hendrik Hoere translated: he didn’t know me then, and misheard my ‘accent’ – of course, I don’t HAVE an accent!! – and translated it as ‘Without prophecy, the people run like a cow without brains’! Pretty accurate, too, even in the humour! Joel 2:28-29 (interestingly, Joel 3:1-2 in Spanish Bibles!) – ‘In the last days, I WILL pour out my Spirit on ALL flesh, your old men (me) will see visions, your young men (me – I’m young at heart!) will dream dreams, and your sons and daughters (me – I’m a son!) will prophecy’. VISION. Essential. Critical. And YOUR vision, if you have one, will never die, because when you shuffle off this mortal coil, someone else will carry it on…. One of my visions is to cut people loose to fulfil their FULL purpose in God, that’s why I take teams with me whenever I can. My great mate Alan, from here in Northern Ireland, only found faith in Jesus 5½ years ago. But in those short years, he’s garnered a healing gift that is amazing, he’s prophetic, he has insight, and sees stuff in the Bible that astounds me…. my great mate Robert, from Melbourne, Australia – and he won’t mind me saying this – a year or two ago, would have said he didn’t really have faith for very much at all: when I left Oz in March (and I’m back there next month! ), he said ‘When it comes to praying for people to be healed, I don’t need you anymore’. WONDERFUL!!! Stuff like that can’t be taught, it has to be caught. Rob now prays for just about anything that moves…..Alan’s the same. And they’re a heck of a lot younger than me…. I don’t know about you, but I HAVE a future, I want a BIGGER future than my past (that’s up to 11.10pm tonight UK time!) has ever seen. That lovely man, Alfredo, healed of major walking difficulties, and his sight restored, last Sunday, aged 81, wanted healing ‘so I can fulfil the vision for the new ministry God has given me’… God, give us MORE people like him…..
« Baguette, fromage, et le vin….or….Dix baguettes, du fromage et beaucoup de vin!